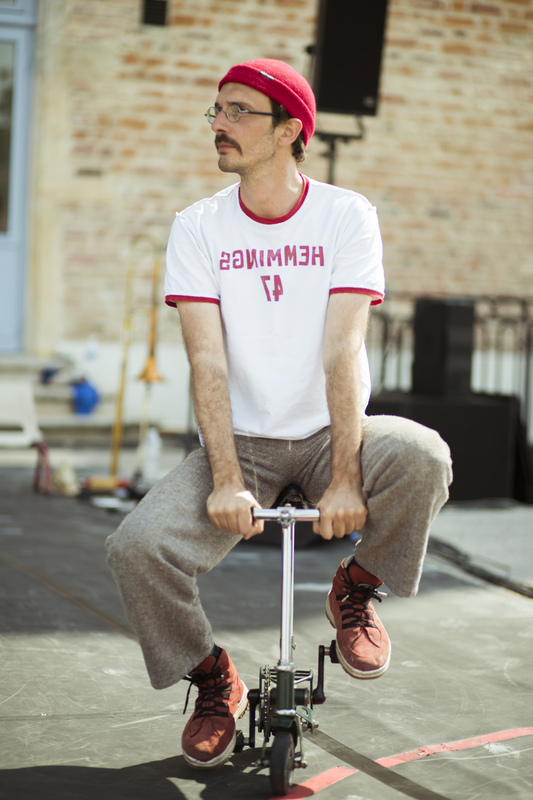 Comedian and circus musician, Bertrand learned his skills in the conservatories, in Philippe Gaulier theatre School, in the International Musical Research Center (CIRM) and of course… playing in the streets, theaters and big tops ! He founded the “Cirque Inextremiste” in 1998 and the “Quntet de Boeufs” in 2001. Musical creation teacher in National Circus School (CNAC) from 2000 to 2004. Bertrand also likes to offer his skills to the company “Clowns Without Borders”, and went playing and giving workshops for refugees from Darfour or Palestina. He loves peppers, but hates poodles (except with peppers).